Dacia started sending Duster units for the foreign dealers to cope for the first application of the first Romanian SUV. Dacia sends out between 150 and 300 cars every day, most of which are represented by Duster models. In addition, to prepare for the international release, each Dacia dealer will have at least one Duster model for testing. "Shipments are now only for export. We are sending out daily between 150 and 300 cars, most of them being Duster models," said Dacia officials. Dacia has over 1.600 sales points in Europe most of them represented by Dacia brand areas in the Renault showrooms. In France, one of the largest markets for Dacia, are over 100 independent dealers, one of them with a showroom on the Cote d’Azur, in a select area. The production of Duster in now up up 250 units per day, representing 20% of the total production of the Mioveni factory. 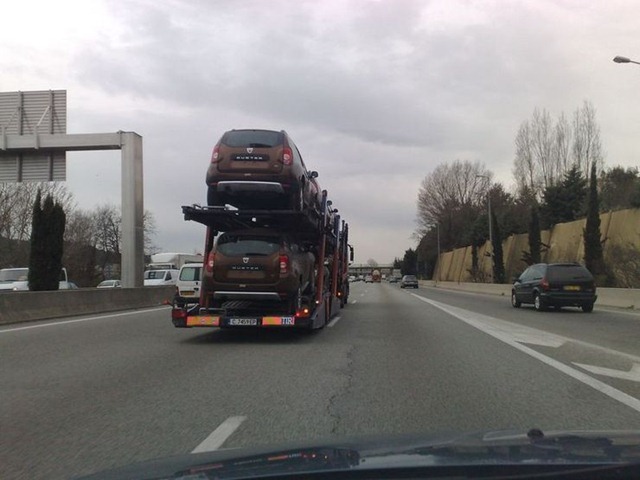 when Dacia Duster is going to be launched in india. Good points all around. Truly arppeictaed.